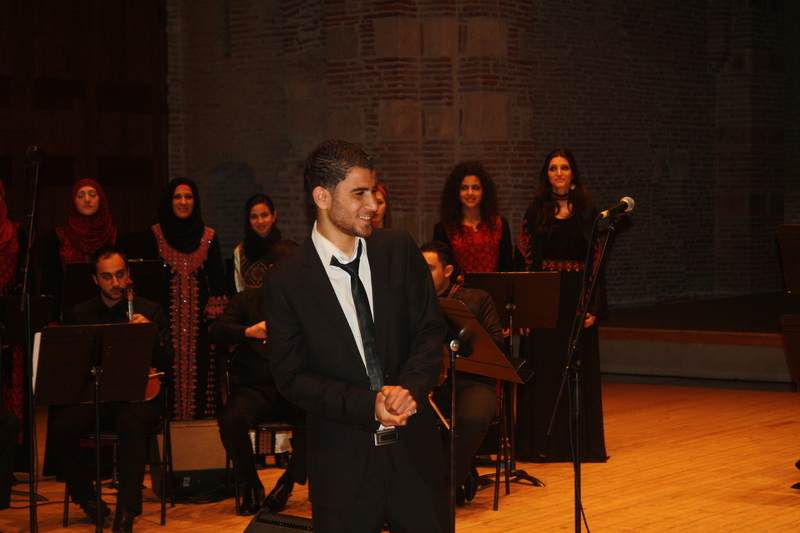 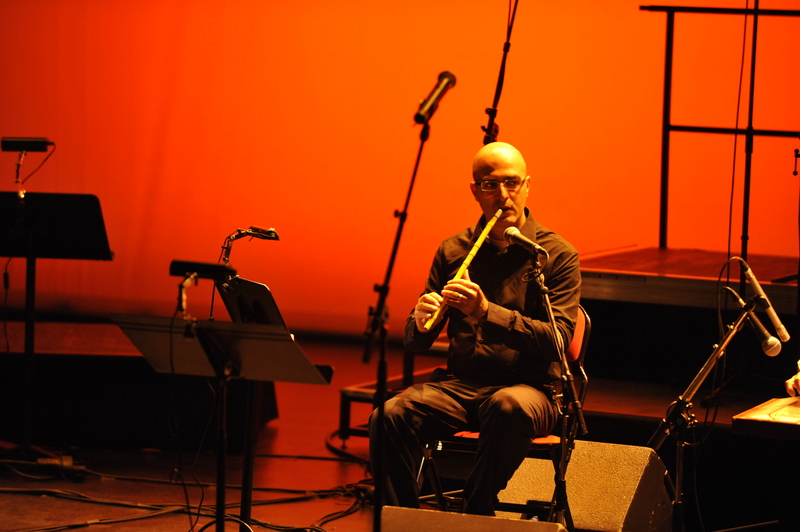 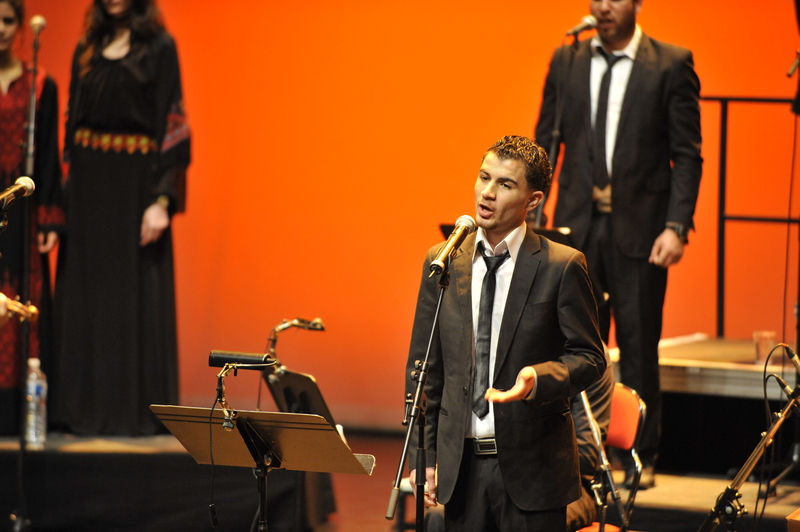 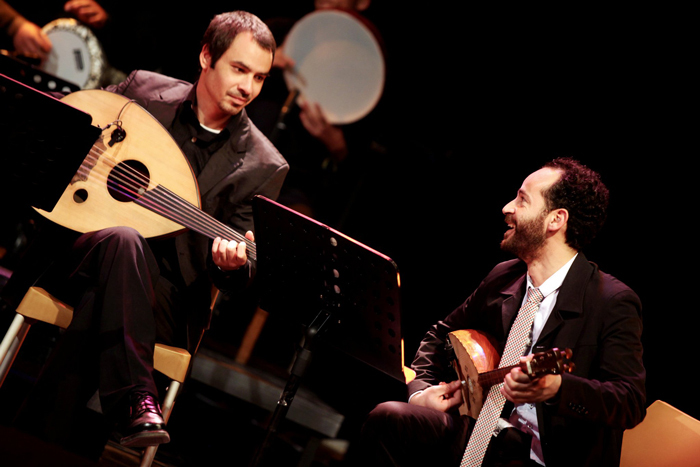 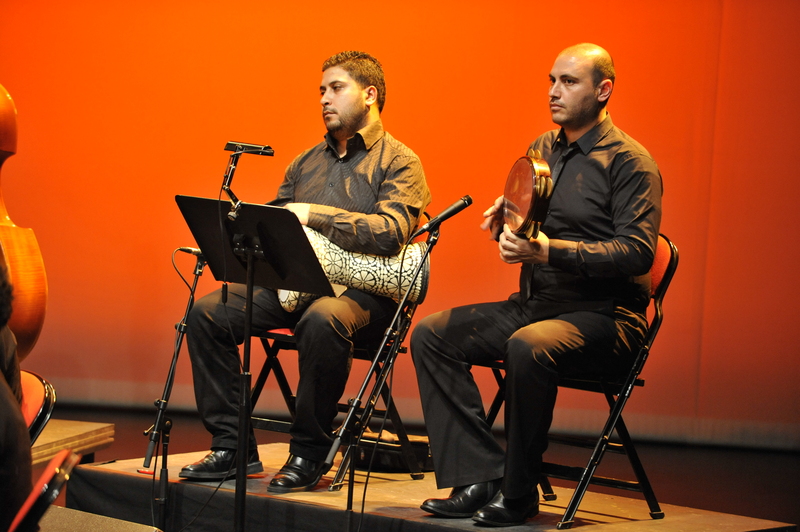 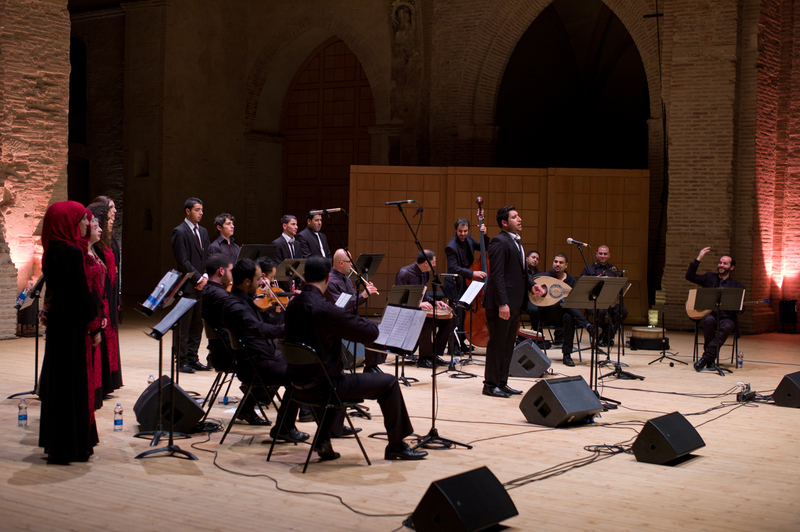 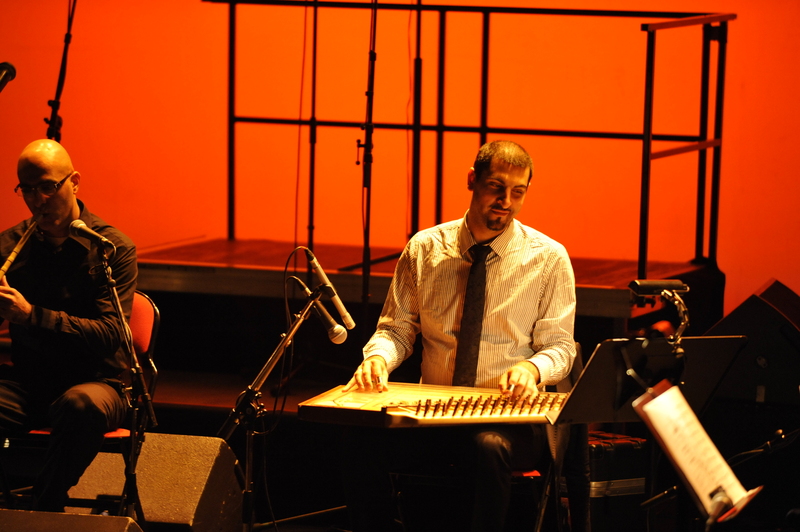 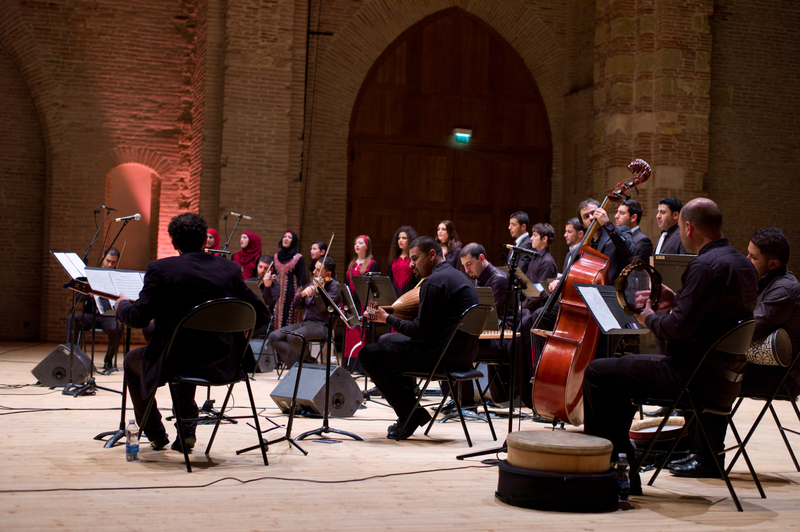 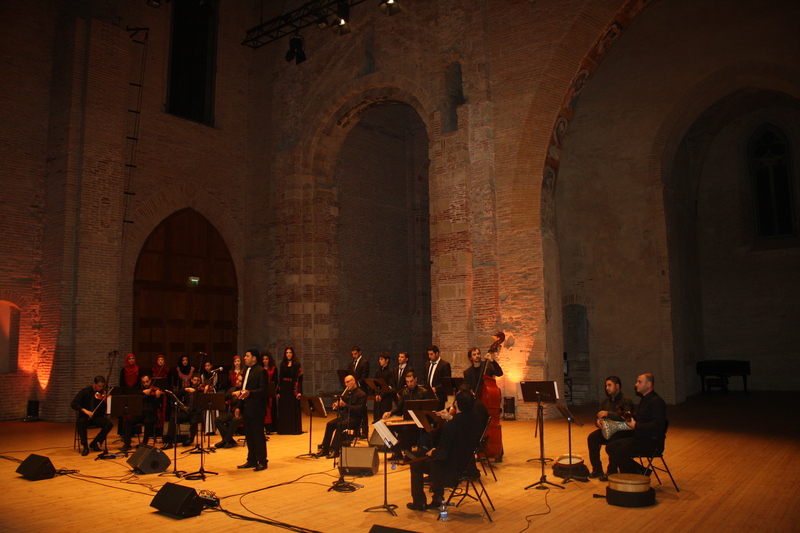 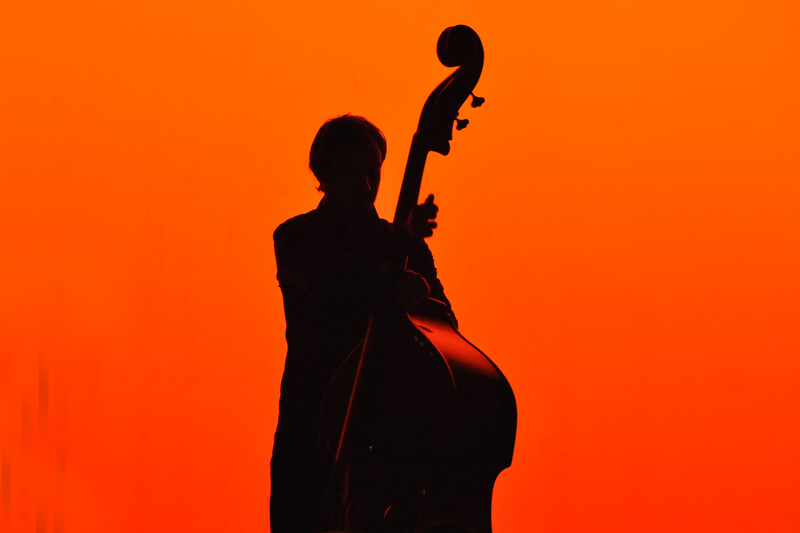 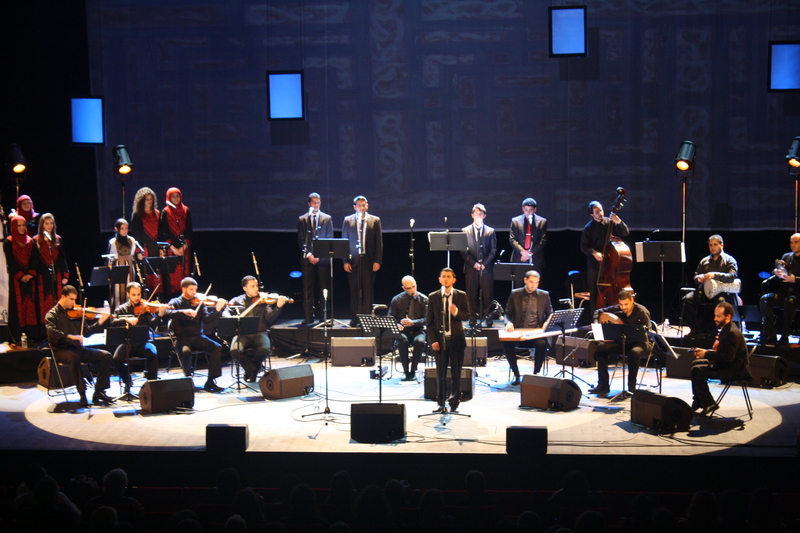 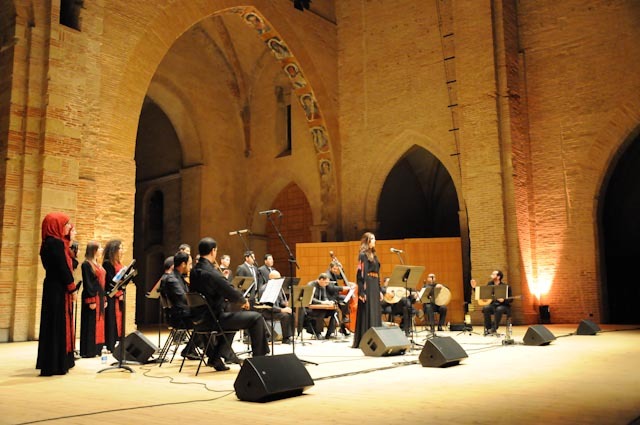 Created in 2010 by Ramzi Aburedwan, its musical director, The Palestine National Ensemble of Arabic Music aims to breathe new life into Arabic musical heritage. 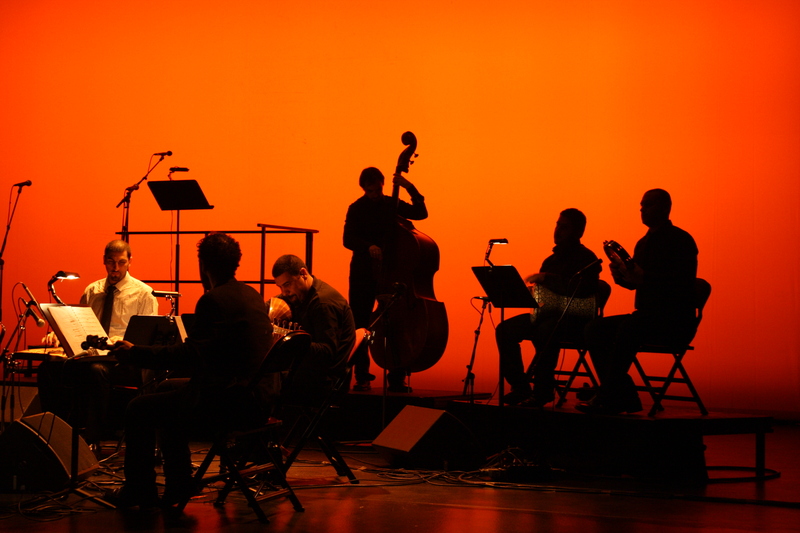 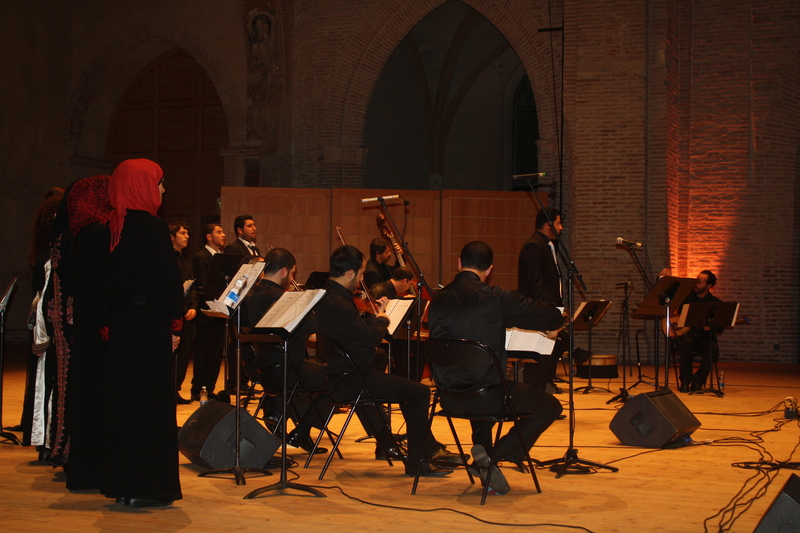 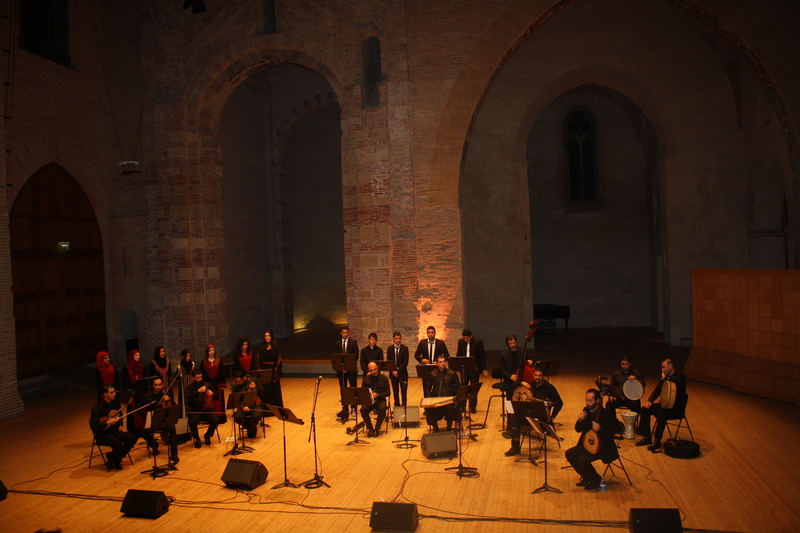 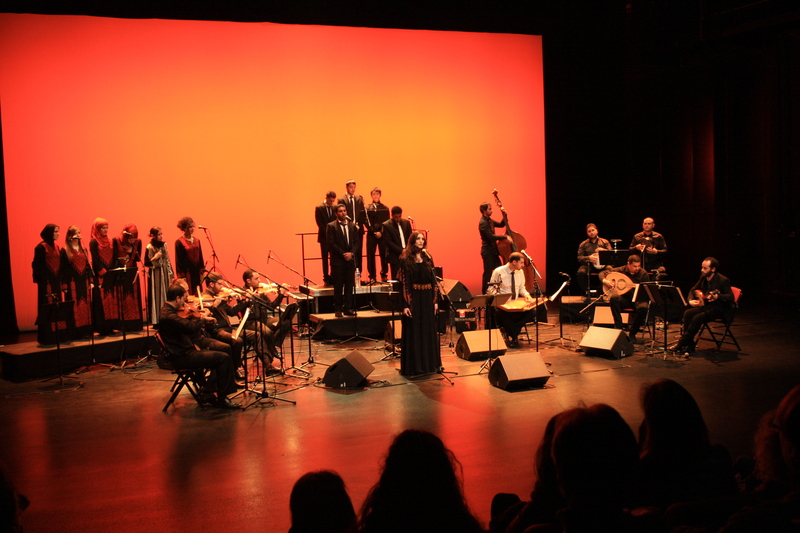 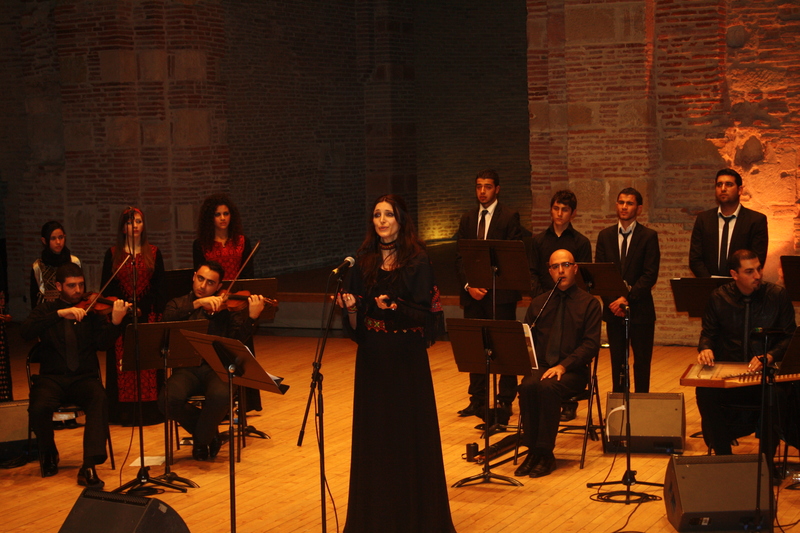 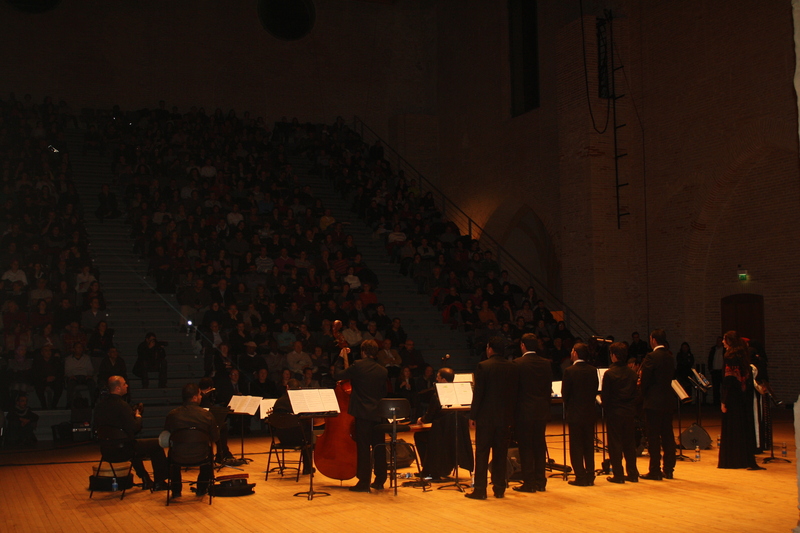 The ensemble interprets classical Arabic music: samaiat, longat, muashahat, works by Farid el Atrash, Mohamad Abdel Wahab, Riyad Sunbati, Mohamed el Kasabgy, Umm Kulthum, Ismahan, Layla Morad, Sabah Fakhri as well as original compositions written for the ensemble. 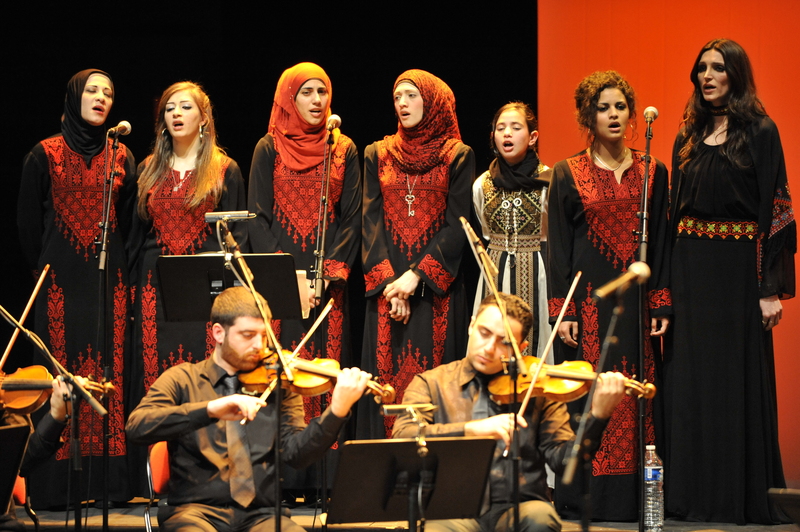 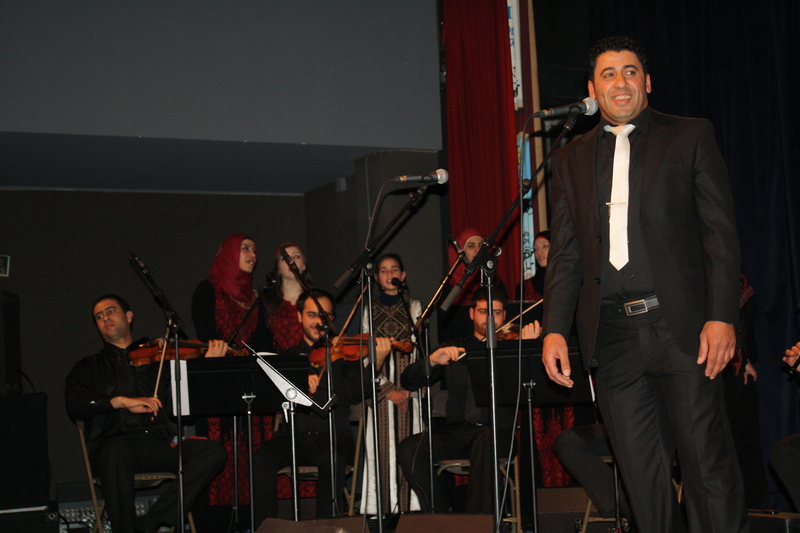 The PNEAM (25-30 members) is comprised of the best musical talents from all of Palestine – Ramallah, Hebron, Jenin, Haifa, Nazareth, Tulkarem, Nablus, as well as refugee camps such as Al Fuwwar, Arrub and Al Amari. 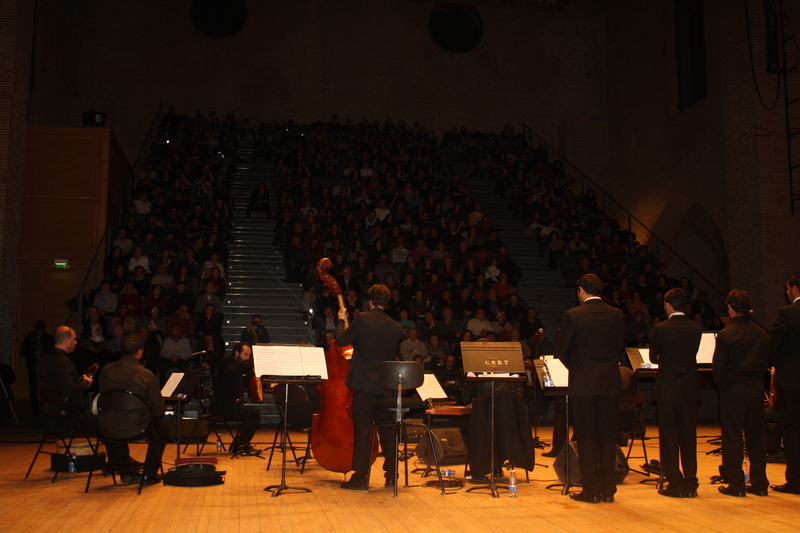 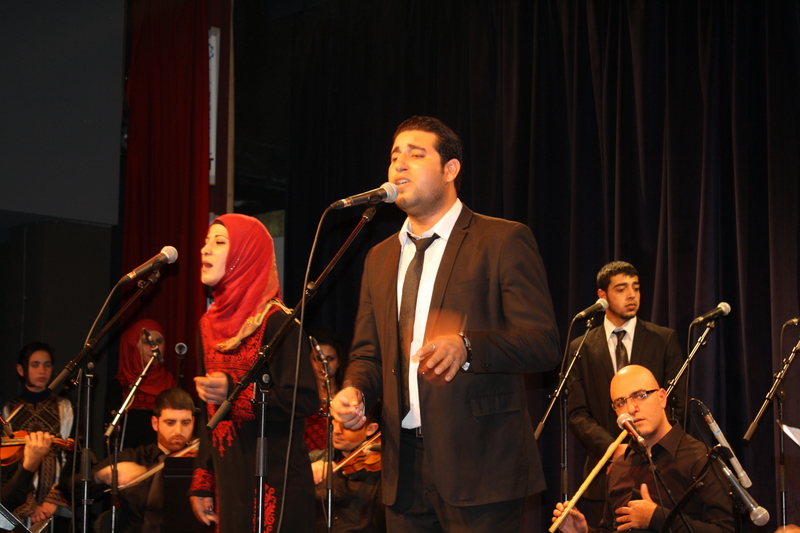 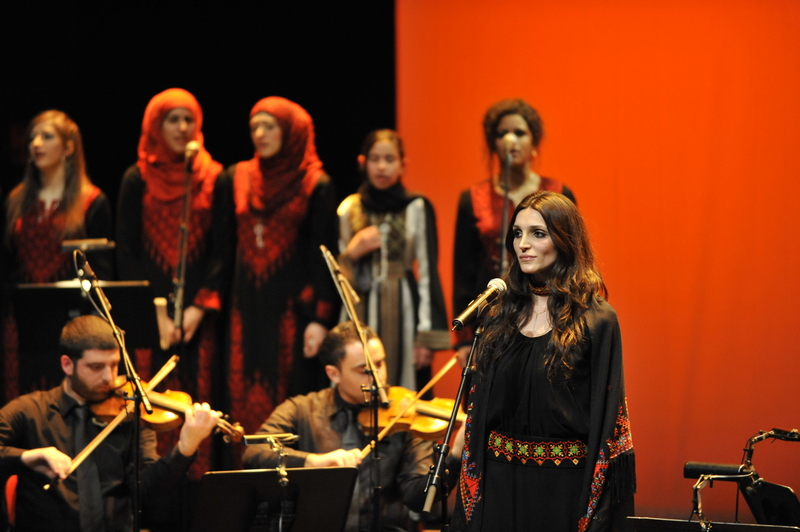 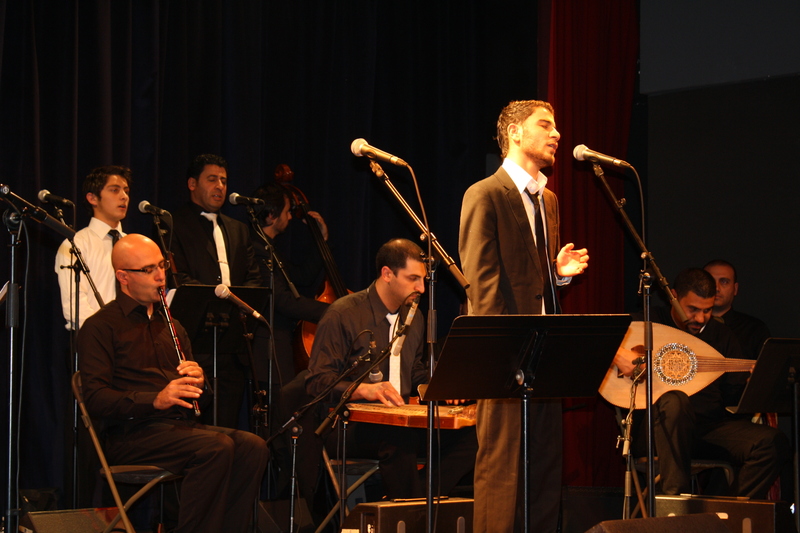 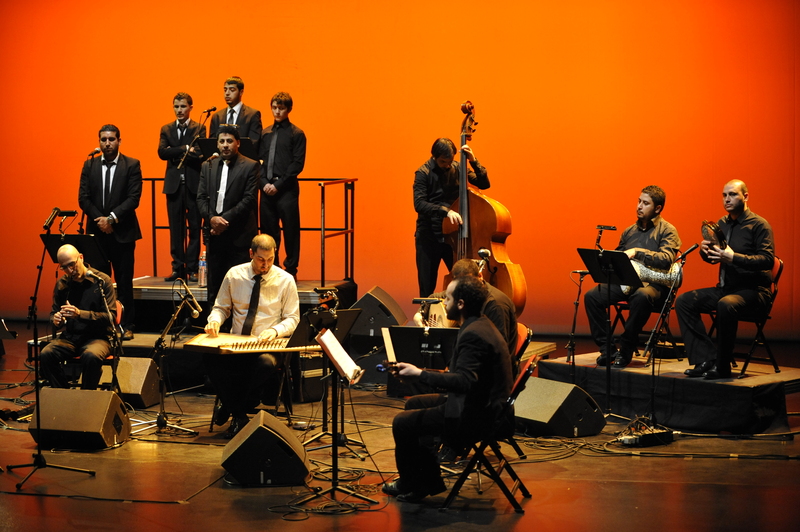 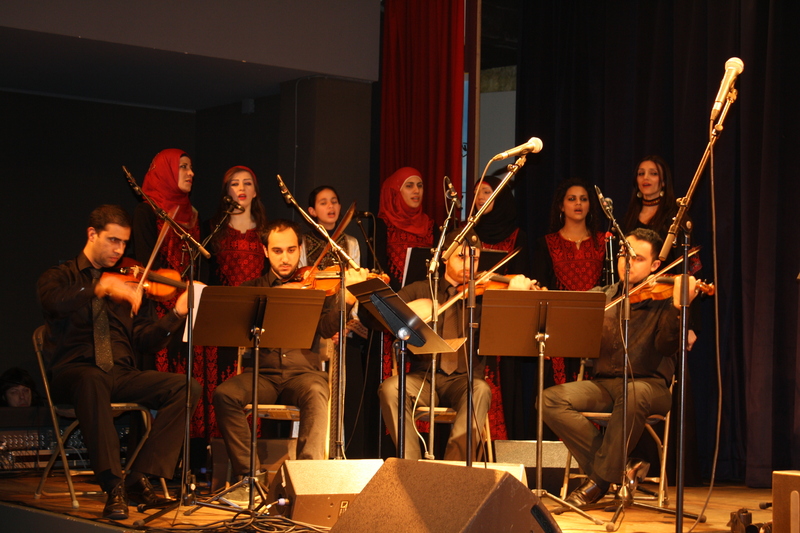 In the first decades of the 20th century, Palestinians freely participated in the great traditions of Arabic culture and music, and the Jerusalem Radio Ensemble was an important institution carrying these traditions. 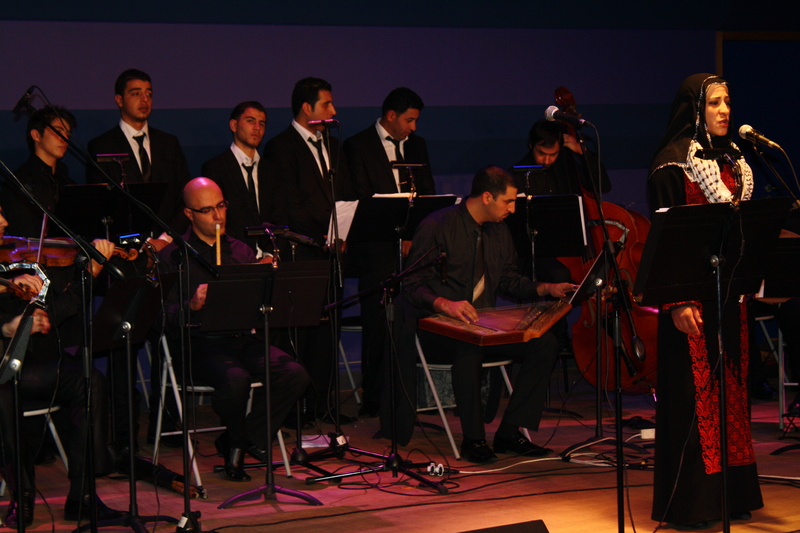 Some of the greatest names in 20th century Arabic music were members of this ensemble. 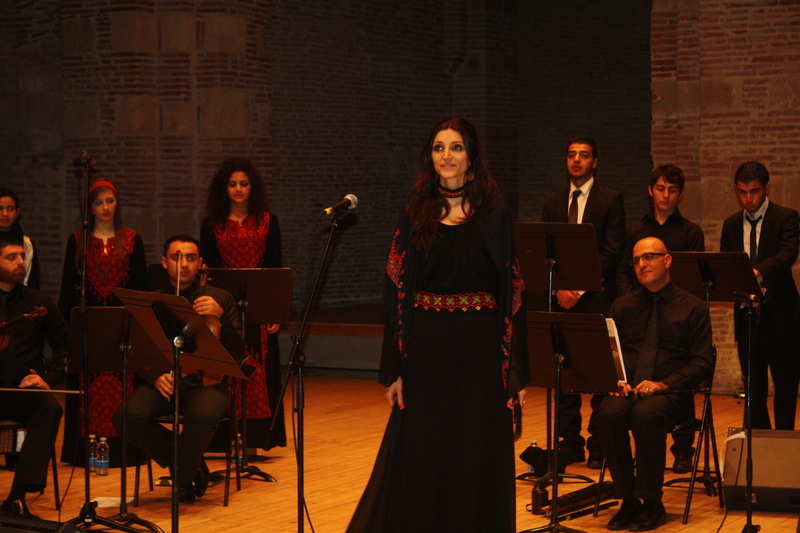 The Ensemble is the heir of this magnificent tradition. 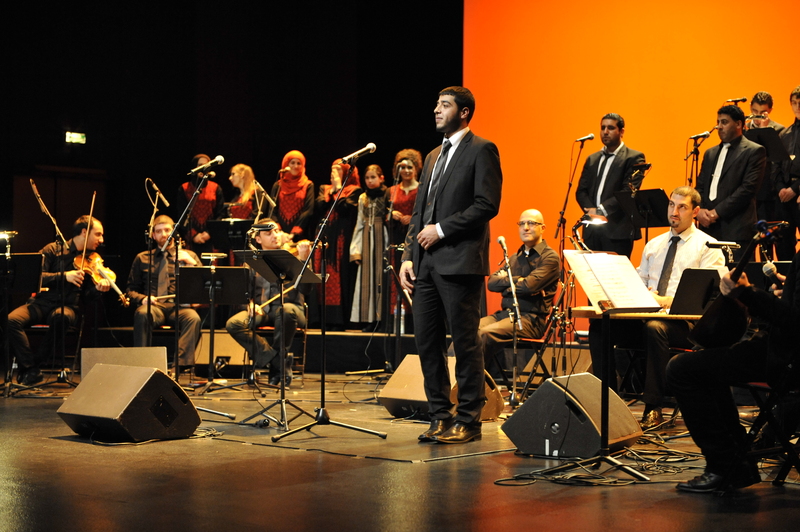 The PNEAM intends to revive this heritage, in addition to performing repertoire by Palestinian and Arab composers which has never been performed, along with the classic repertoire.